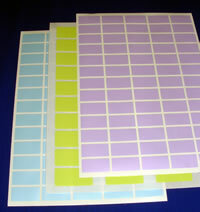 We manufacture sticky labels for industry and home, in small or large quantities and we can produce both blank and printed labels for a wide range of applications. With over 500 materials at our disposal, we can help you solve your identification headaches and produce the best sticky label for the job. This site contains a small sample of the sticky labels and tags we can produce as there are simply too many industries, categories and variations to mention them all. We invite you to browse our broad cross-section of label products and tags, bearing in mind that we are only too pleased to provide free quotations and samples without obligation to purchase. 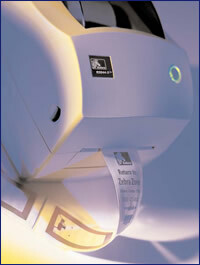 Want to Print Your Own Labels? 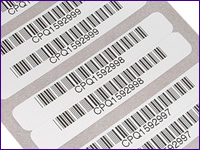 If you wish to print your own labels on demand, then look at our selection of thermal printers which range from portable, hand-held label printers, through short run desktop label printers right up to hard-wearing industrial models. 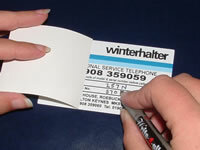 Perfect when you need to hand write information onto a label before applying. With the added bonus of a built-in clear laminate patch.